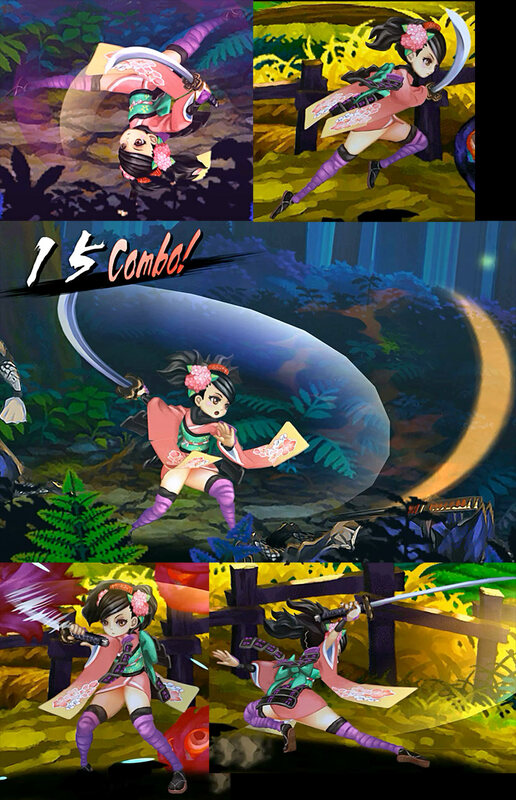 A redo for the sprites of the ever-lovely, ever-dangerous Momohime from Muramasa: The Demon Blade. This is an add-on pack for the folks that find the graphics to be somewhat unacceptable past the 1080p resolution, even with Kevlahnota's Texture Pack. I have tried to do a reimagining based on the official art as well as the official figurine to put back the details into the sprites (at 4 times the original resolution). This is not a standalone pack, I highly advise you to install Kevhlahnota's pack first (NA region // RSFE7U). It also [color=#ff3333]does not have that much difference at 1080p[/color], but you can perhaps cheat a bit by using the Free Look option and bringing the camera a bit zoomed in towards you. 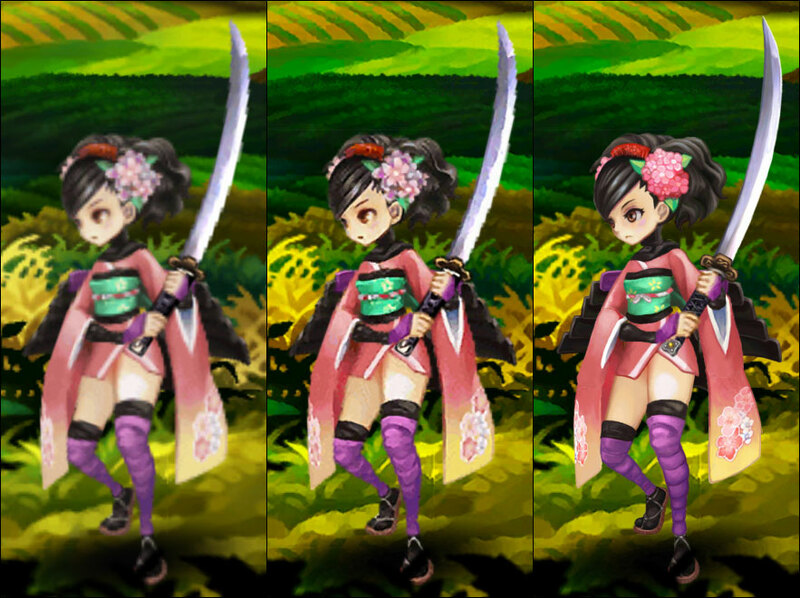 Minor edits to main Momohime sprites (eyes, you can see her actually hold the sword properly on her normal standing animation now), finished the hilts for the 3 starter swords. 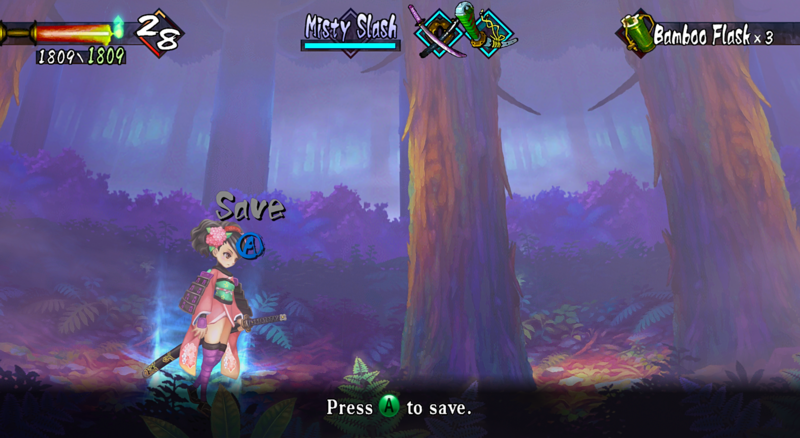 - Once the starter blade sprites are finished, porting them to all the other blades should be a matter of cycling their colour palettes. - Don't quite like her leggings, currently based off the original sprites and official figurine. But in the official art they're portrayed as striped kneesocks. Perhaps will change to that in the future. 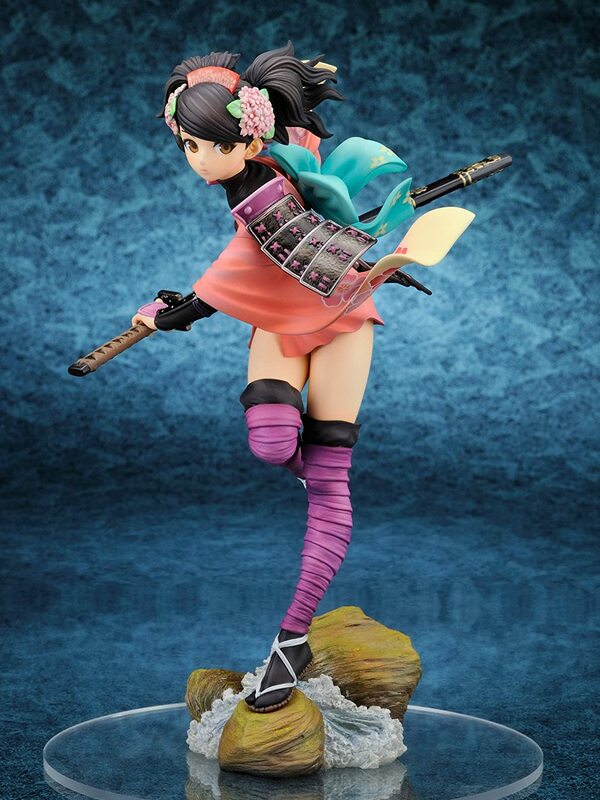 - The figurine suggests her the flower pattern on her obi extends to the ribbon on her back as well, so I may have to add in that. Create a new folder (any name that does not start with z) inside RSFE7U and move all files into it. Enable the Load Custom Textures option in Graphics->Advanced->Utility, and Prefetch Custom Textures if you want to avoid texture-loading lag while playing. This instruction is for the Windows version. Last time I checked on the *nix versions, they ignored folder names entirely, and as such just extract the individual files (sans folders) overwriting Kevlahnota's files. Momo's sprite is 2048x2048. I guesstimate at least a 1gb VRAM graphics card is required to be able to load such a size. Please do not attempt this on an old notebook computer with integrated graphics, as I will not be responsible for any meltdowns that may occur. EDIT - I managed to run Dolphin with the textures on my tablet. It's slow, but still loads. So I have no idea what the minimum VRAM is actually lol. Moved to HD Texture forum. This looks amazing by the way! Thanks for the move. Anyway, does anyone know what causes the white fringe on certain texture edges? I initially thought they were caused by anti-aliased alphas, but a lot of textures didn't exhibit this problem, and some textures with hard, non-AA edges do. Would help me a lot in troubleshooting if I knew the reason. Don't know for sure, but I had similar problem when I used not-so-good image editor. The editor was saving "completly transparent" pixels as white with zero opacity, instead of black with zero opacity. If you use such an image as texture (with linear filtering and/or anti-aliasing), you'll get some nasty stuff on image borders. From coding perspective there is a good workaround - load textures in premultiplied-alpha format and set blending mode to simple "add". But in your case you should try to re-save textures using other editing software. (09-18-2015, 12:48 AM)dangerism Wrote: Thanks for the move. Anyway, does anyone know what causes the white fringe on certain texture edges? I initially thought they were caused by anti-aliased alphas, but a lot of textures didn't exhibit this problem, and some textures with hard, non-AA edges do. Would help me a lot in troubleshooting if I knew the reason. Does it happen no matter what, or do chance edits cause the white edge to disappear? I ask because some games/textures are either hard coded with certain effects in mind or have some strange inconsistencies with custom textures. 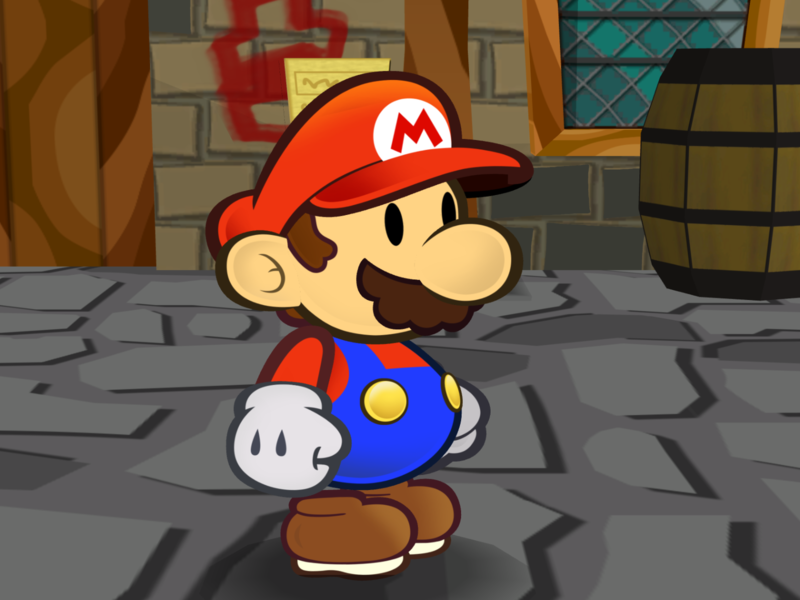 Paper Mario does some strange stuff with edge pixels where it creates an ugly gray outline around hard edges (and sometimes even semi-transparent ones) that is very visible when stacked on top of another texture. 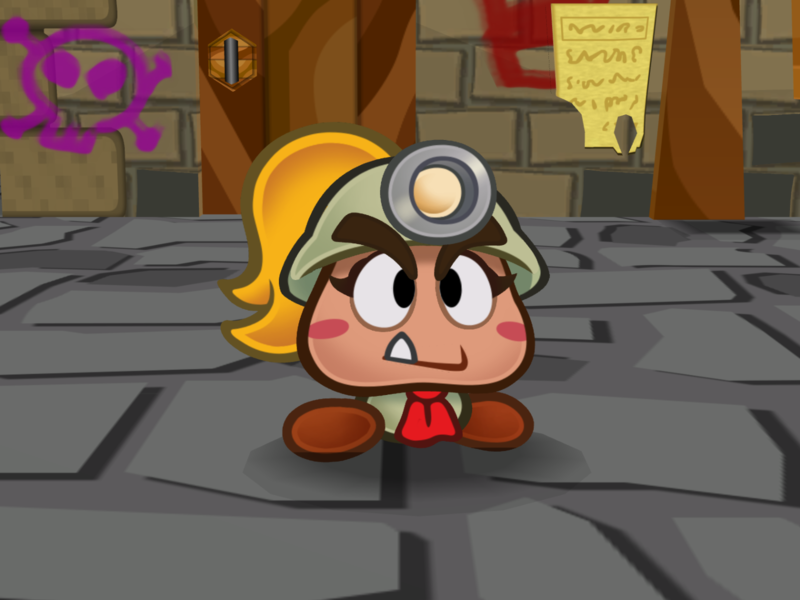 It can be hard to notice, but if you look really close at the inner part of Mario's nose or under Goombella's mouth you can see what I mean. This can almost be entirely fixed by creating a thick gradual fade into transparency, but I missed these two when I was working on them. Dupree was an extreme case with his hair and nose, and this is how I fixed him and many others. (Hair - Nose - Fixed) It took a few rows of gradually fading pixels to get by the issue (and only in certain spots? ), and in some cases it must be thicker than others. Unfortunately, it would be impossible to apply this kind of fix to an edge that does not stack onto another texture with the same color, but it can be improved on with lots of trial and error of hacking away at the edge. It's hard to explain, but here's an example. One of these images may look correct while the other does not, with no supporting logic as to why. Saving a state, replacing the texture, then loading the state is a quick method to test any changes, but prefetching has to be disabled for this to work. Another effect I've noticed is that sometimes games use the texture as a backdrop to create a shadow or outline. There is usually no repercussions to shadows because the texture is not rescaled and is just darkened and offset. Outlines however, depending on how the game does it, can look really good or really awful. An example is the cutscene text in Xenoblade. What they are doing here is busting the letters up into multiple pieces, coloring it black, and using it as an outline. While it's only slightly visible on the default fonts, it doesn't look so nice on custom fonts. It is possible to "fix" the letters so the outline tiles correctly, but not without mangling the fonts to some degree (which affects the fonts everywhere in the game). You may also try different internal resolutions and see if the white lines are visible in some but not others. There were quite a few textures in Xenoblade that would look fine in some IRs but have tiling/scaling issues in others, and it took quite a bit of trial and error to get them perfect. It wasn't enough to just have them upscaled properly with an integer scale (which I assume you are already doing), it took pixel-perfect accuracy to make them look correct. All the different kinds of borders in the game come to mind here. Also, just want to say the textures are looking incredible. 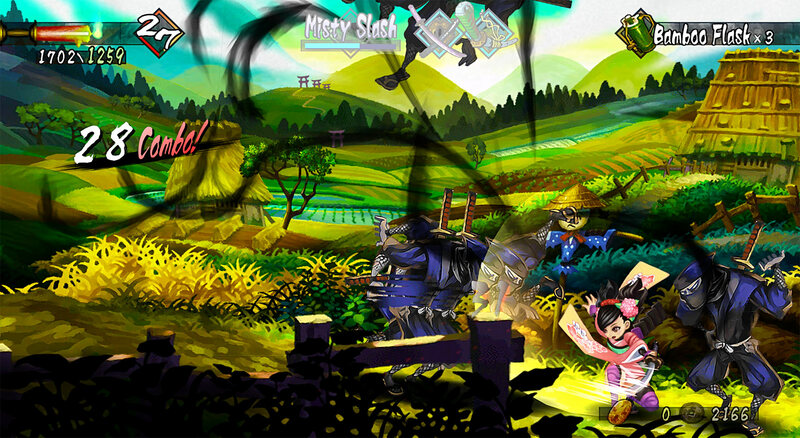 I don't want to impose, but is there any chance you'll be doing Kisuke after Momohime? Thanks for the explanations. I've started realising that certain textures needed to be 'faded' at 50% instead of leaving them hard-edged because they needed to overlap with other conjoining textures. 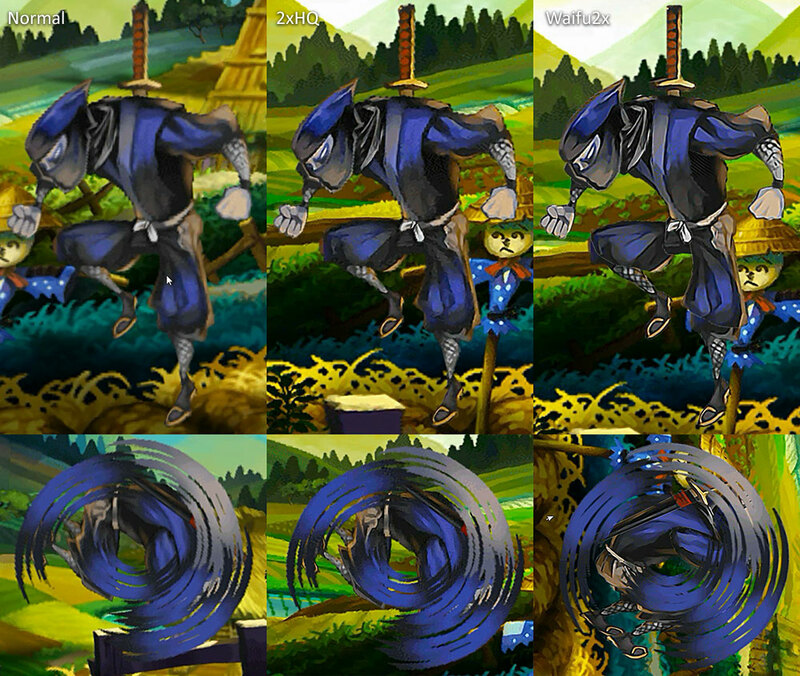 Anyway, this is a pretty good article whose workflow matches mine in many aspects concerning upscaling and reimagining sprites from the original base ones. Minor update: Yes I'm still working on this, albeit slowly. 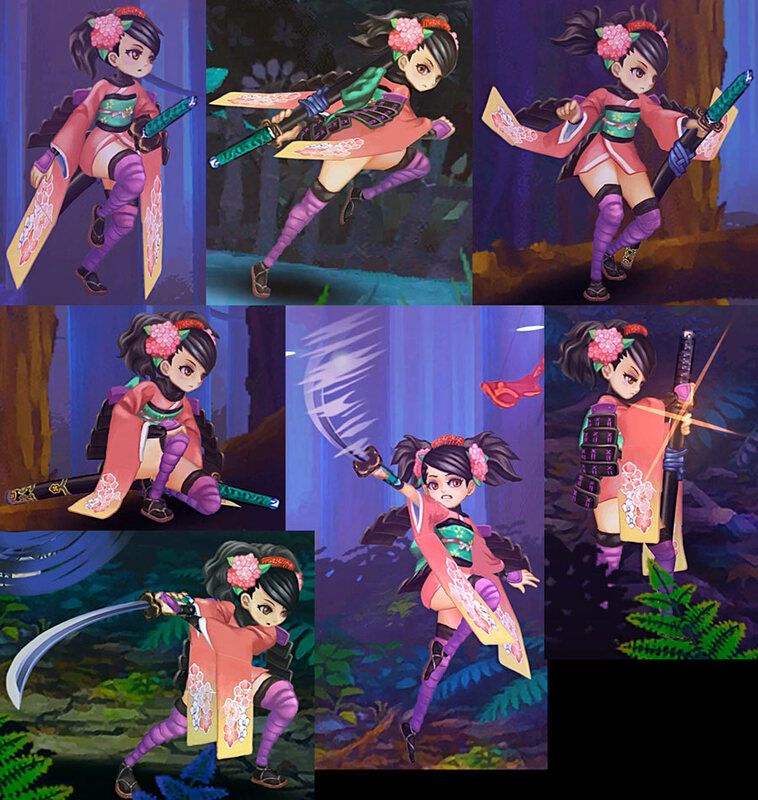 Currently still working on Momohime's first cutscene sprites, currently a pain as I found out hey just use a simple mouth-gape texture-stretching technique to animate mouth movement, and thus explains why her mouth is so tiny in the original, yeesh. 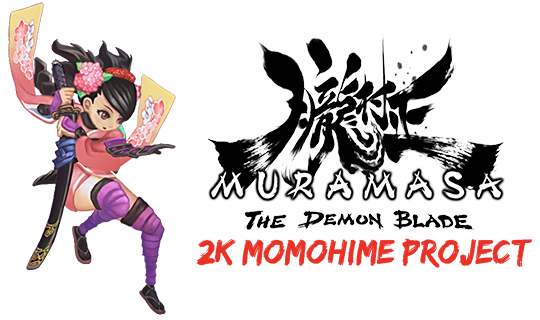 Trying to see if I can accomodate it somehow to the lipped version of Momo-Momohime, otherwise I'd have to revert back to Jinko-Momohime's mouth. Hey! I'm new to these forums. I noticed that the links in the OP seem to be broken. Any way the files can be re-uploaded? Thanks!